If it weren’t for the wealth of kit makers in the 50’s I doubt I would have followed my interest in radio to a life long career in electronics. 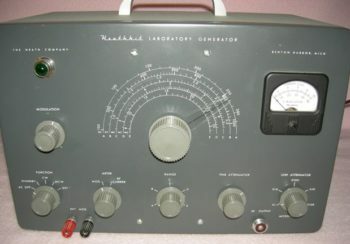 One of the Heath kits I was fascinated by was their Laboratory Generator. It was of moderate difficulty to assemble and was well worth the effort for those anxious to learn electronics in detail. Although it’s not a truly laboratory grade instrument the relatively good quality of signal output makes it a highly useful instrument.